Begonia graduated in Dentistry as part of an International Program in Valencia, Spain. Begonia enjoys working with her patients and cares about each patient personally and professionally. Patients often express their gratitude for her good work and empathy. She is very passionate and enthusiastic. She completed a two years full-time Masters program in Prosthodontics at the University of Valencia. This helped her to further develop her clinical skills and learn more about restorative treatments and occlusion. She is very thorough and pays attention to detail. Her areas of interest are aesthetic dentistry as well as restoring teeth and dental implants. She loves carrying out general treatments and is also excellent in treating and maintaining periodontal disease. She has also completed an MSc in Dental Research and teaches at the Dawood and Tanner Academy. She has made award-wining oral presentations in International Congresses. Begonia regularly attends study clubs to update her knowledge and improve the quality of her treatments seeking excellence in her career. She is a member of the British Society of Prosthodontics, Spanish Society of Prosthodontics and Aesthetic Dentistry, and the Association of Dental Implantology. Begonia speaks fluent Spanish. 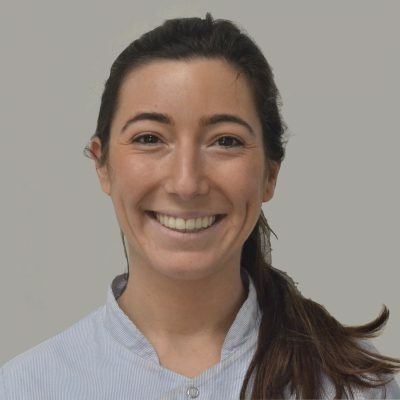 She was delighted to join Fleet Street Clinic in 2018 and looks forward to welcoming you to the clinic. To book an appointment with Dr Begonia Marti or for further details and appointments, call us today on 0207 353 5678 email info@fleetstreetclinic.com or book online now.